Request additional tasks to be done. A central database to store important informations about expertise levels of your resources. Enjoy a web portal to access skills data anywhere. No need to install applications ! Bring your applications on site to audit, inspect and certify the resources and then synchronize. 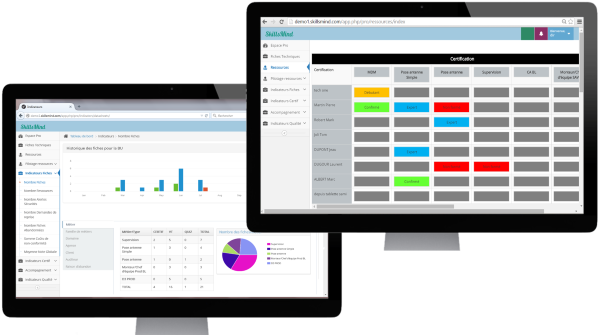 Check out reporting and dashboards to optimize the management of the activity and resources. 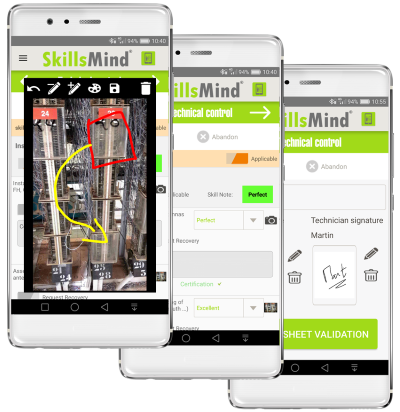 SkillsMind is the first skill mining solution that helps companies and its leaders through an approach based on methodology, efficiency and paperless.